I actually managed to make this and put it up around February. Once again, this was done around the time when I wasn't a big fan of the SonAmy coupling. Thankfully, this was a bit more tamed than my 1st issue. I like the way I designed the hearts above the "O"s in the title above the comics. Now, to be fair, for extra characters, I use random sprites and recolor them, without having any clue of who the character is. This shows as I have certain characters as random workers in my series. As mentioned before, TV is my greatest influence when I make my comics. How many TV references can you find? :D Also, one of my comics is an animated GIF. I was real proud of that one, too. This also shows my (weak) attempt at trying to create a Bokkun (from Sonic X) sprite. One of my rare regrets involving my comic. This special issue shows Amy trying, once again, to get Sonic as her own. 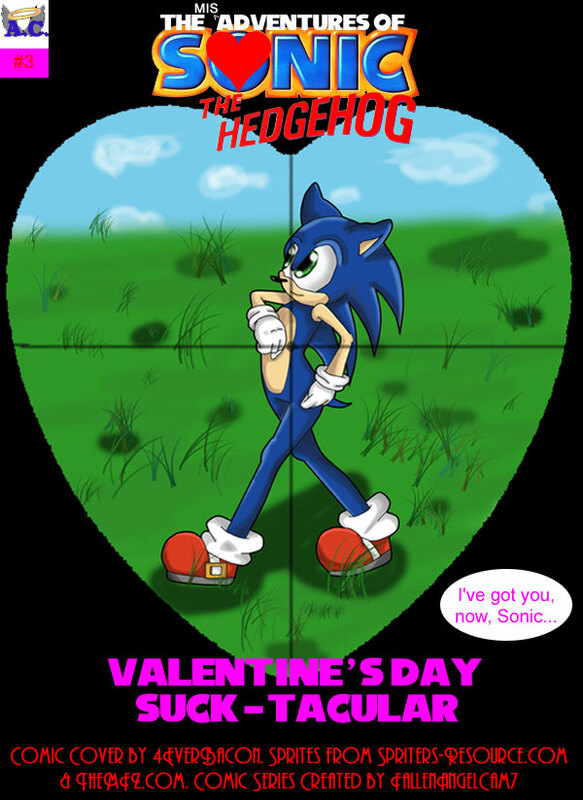 As one crazy plan fails, however, Amy hatches another crazy plan to get Sonic's attention. What happens next is anyone's guess.